American Idleless is a grass-roots organization whose mission is to raise awareness about the effects of idling on the planet. American Idleless was founded by a Reed Schultz in 2011 - a student passionate about the environment. We are grateful to our founder for his incredible work on this very important issue - one that will effect all of us for generations to come. In 2015, seventh-grader Leila Pearson was researching ways to combat the effects of idling on the environment when she discovered the work of American Idleless and is now leading this effort. Idling wastes fuel and money. 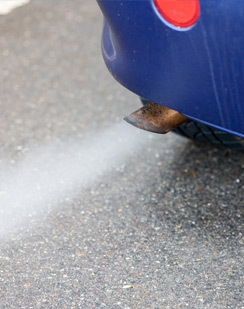 An idling car uses between 1/5 to 7/10 of a gallon of fuel an hour. An idling diesel truck burn approximately one gallon of fuel an hour.